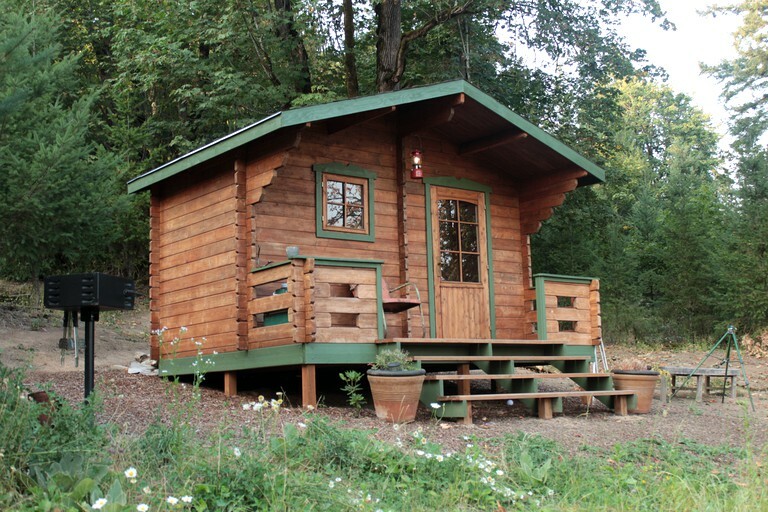 Tucked away in the woodlands near Vancouver, this charming pet-friendly cabin rental makes for an ideal city escape. 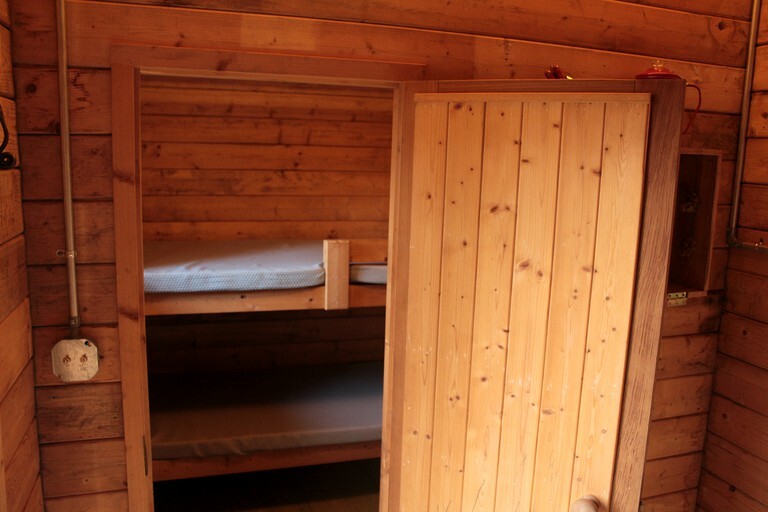 With two bedrooms and twin bunk beds, this is a great base from which to explore the natural beauty that surrounds guests glamping at this site. Guests can enjoy access to a wide range of luxury facilities within their fully furnished rental. There is off-street parking for several cars. Guests can also enjoy access to a private amphitheatre. 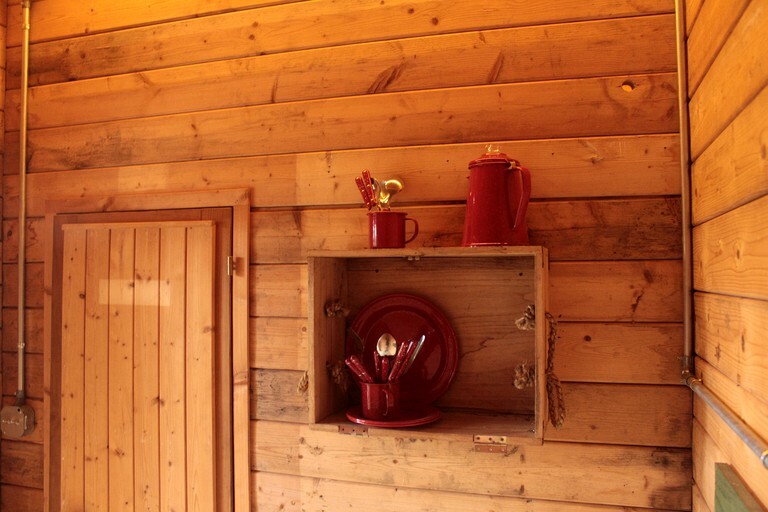 There is also potable water on-site and a fire pit with firewood provided in season. 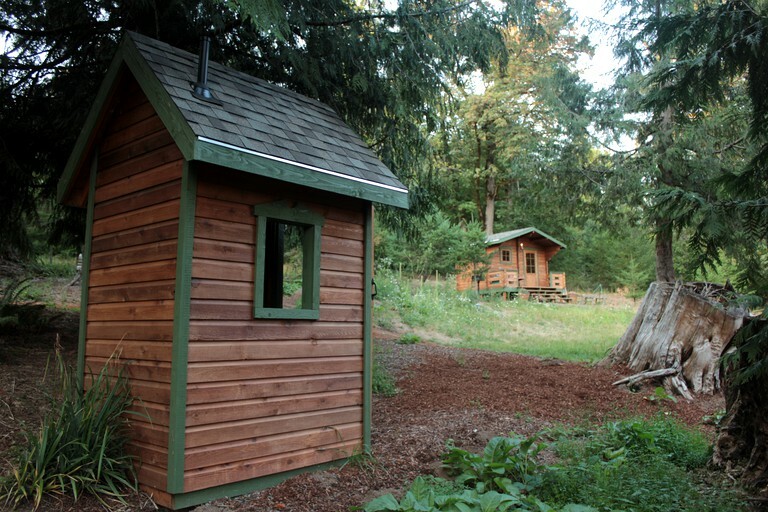 There is a clean, shared composting outhouse and an outdoor hot shower. Wi-Fi access and cell reception can be enjoyed and the property entrance has gated access. A referral to a private chef is available with prior notice. Fee and menu to be negotiated with the Chef. Coolers with ice are available for $10 per day. Guests can be provided with charcoal and lighter fluid for $20. 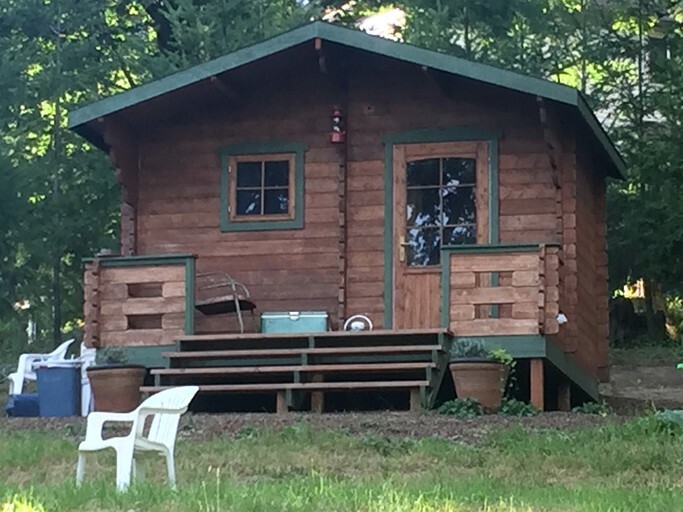 Glampers can enjoy a wide range of activities that can be enjoyed from the property. Countless golf courses are located nearby along with a large number of hiking trails that are the perfect way to explore the local area. Mt. Hood is ideal for skiing. Waterfall viewing in the Columbia River gorge is sure to be a unique experience. There are also many rivers and lakes where guests can enjoy rafting and fishing in a peaceful setting. For glampers seeking a classier experience, why not try wine tasting or shopping in the local towns? Smoking is not permitted in the rental. Pets are considered in the rental but please confirm with the host. Lost gate remote control fee is $75.00.